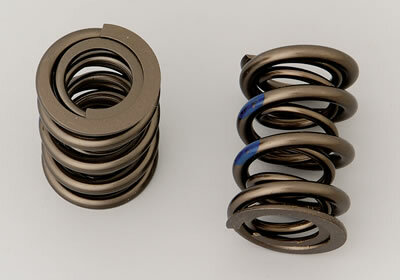 Better designed valve springs using state of the art machinery for purpose built racing engines. These Manley NexTek valve springs are manufactured from super clean hi-tensile chrome silicon steel and are shot peened to MIL specs for maximum fatigue life. They feature a proprietary multi-step heat treating that minimizes load loss and have computer aided modeling to minimizes valve bounce and valve gear separation. 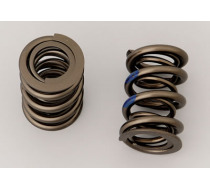 The Manley NexTek valve springs are smaller diameter and lightweight, allowing engines to rev higher faster. They have extended tip thickness designed to eliminate overload breakage, and the tightly controlled open end flatness reduces valve stem side loading. Outside Diameter of Outer Spring (in) -- 1.570 in. Coil Bind Height (in) -- 1.215 in. Spring Rate (lbs/in) -- 575 lbs./in. Inside Diameter of Inner Spring (in) -- 0.750 in.